and officially destroying what small remainders of sanity where left! So that's Great. 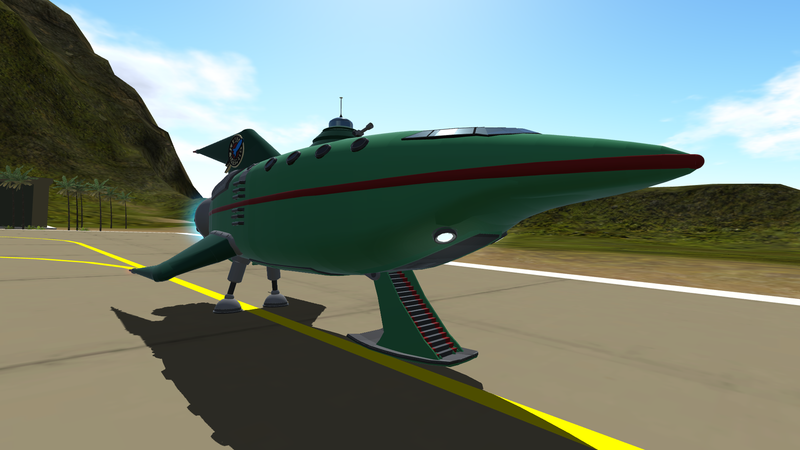 The planet express features tripodal landing gear because 3 is the greatest! Including fold out stairs with which to enter the ship! It all slides in and out of the ship with maximum satisfaction. 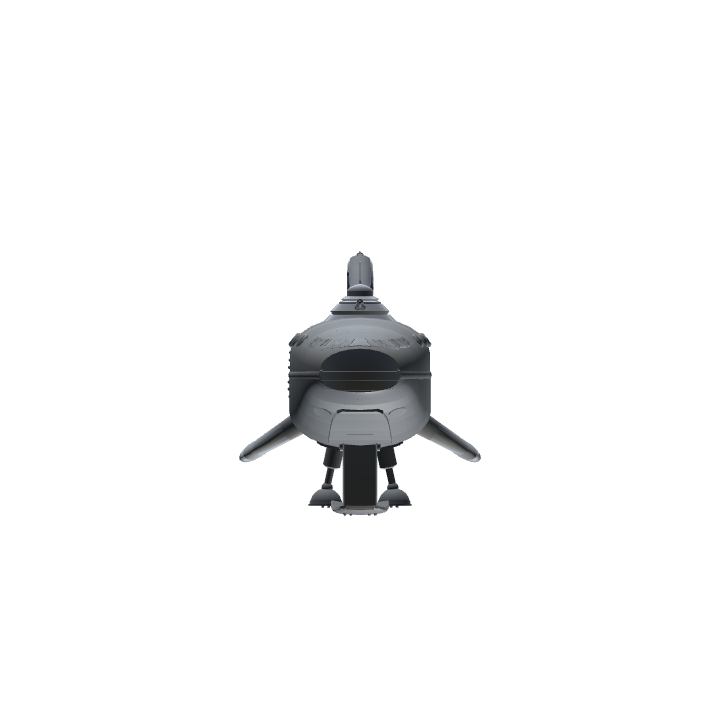 A piloted turret on top of the ship lets you aim aim anywhere, with a full 180 degrees of action! Its not 360 but it might as well be! 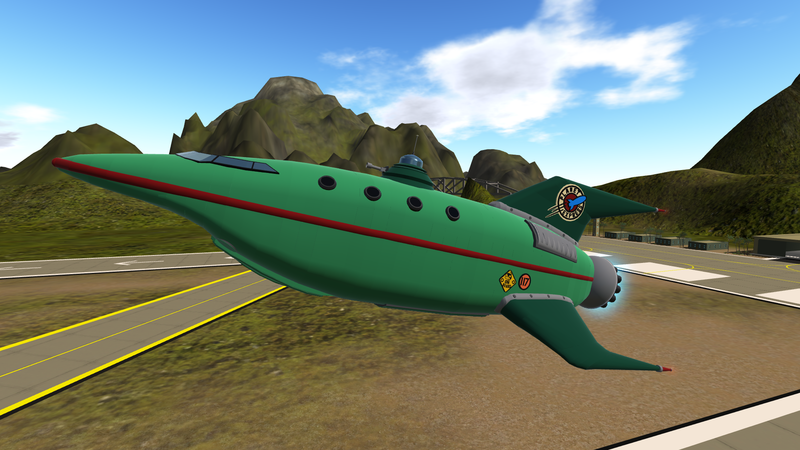 And speaking of dark matter the planet express has the energy equivalent of 2.6 million gallons of fuel! Meaning you won't ever have to walk again. The engine disobeys the laws of physics by moving the universe around it and by doing so can achieve speeds faster than light!...Or in this case circa. 900mph but that's almost the same thing right!?..Right? One thing to note is all this stuff is bound to the landing gear, so if they by chance stop working that will be because you've disabled the landing gear. 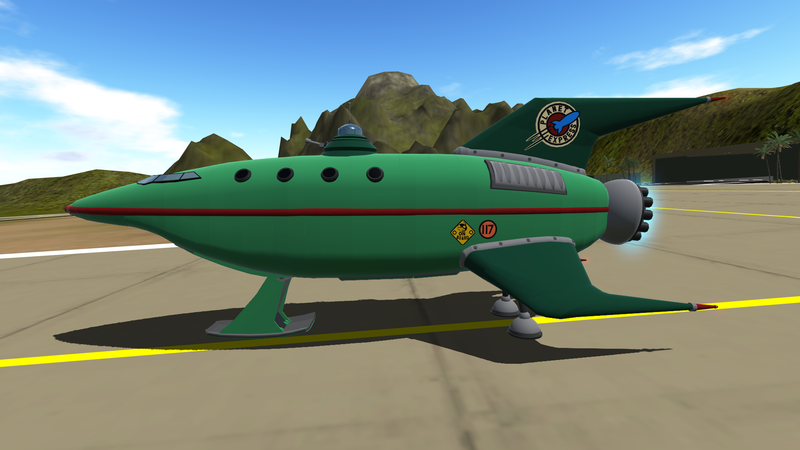 By default the Planet Express controls like any normal VTOL aircraft and can take off by starting thrust and moving the VTOL slider up, this will also simultaneously fold up the landing gear. These are all on AG 8 so disabling that will cut off the primary engines and lock the landing gear in place. AG 5: will activate the 2D vtol, while in 2D vtol the aircraft is locked into one angle with help of a gyro(so it can't face up or down) from here you control up and down movement with the VTOL slider, you move forwards with thrust, and you yaw/ change direction with roll. This is to assist with landing and helps with various things such as locking the ship into place and making it easier to use the magnet winch. Your also going to want to disable normal flight while using this with the exception of activating it briefly to put down the landing gear. The Primary lasers are activated with AG 1 and with that are toggle able and will fold in and out of the ship, although your going to want to hold off from firing until they're all the way out since...yeah accidents can happen. 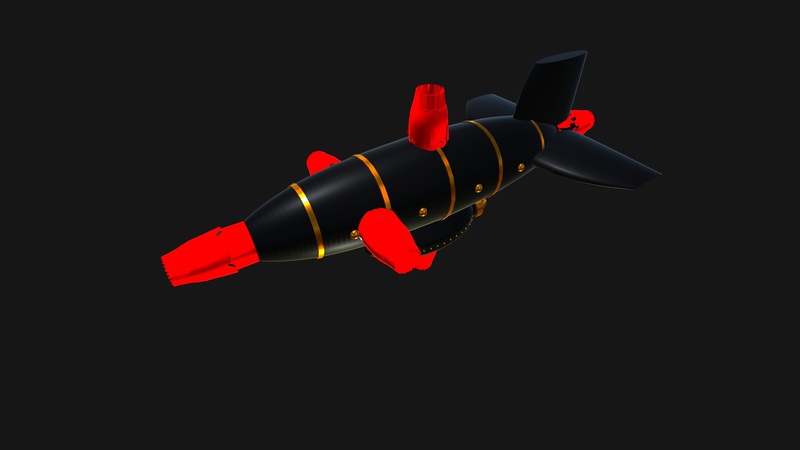 AG 2 Will activate the turret (can fire without activation group but 2 will alow you to control its direction) turret can turn a full 180 degrees with trim which controls the turning(tested with yaw but would reset if you let go of the button which made aiming impossible) and pitch controls up down movement. and AG 4 will activate the magnet in itself so you can carry objects. The cargo bay elevator extends when you drag the VTOL slider all the way down, pretty self explanatory. Hey you! In addition to this lengthy description you can also view build logs which go more in detail about building the damn thing! I figure if you can make it through this you must love suffering! So below your can read even more horrible writing of mine! And that's a win for both of us! The conversation has been moved. Sorry for cluttering your build’s comments section, OP. @spefyjerbf Ah, so you're taking the "brazen it out" approach. I already posted all the evidence needed, which should make it clear to anyone with half a brain and a smidgen of integrity what's going on. However, let's take this elsewhere, dear friend. 1. How does the teaser for Volitus align with your interpretation of my alleged plagiarism? 2. Why did you not contact me, or anyone else, about such plagiarism? Therefore, it seems like your accusation is demonstrably false. Your evidence is shoddy at best, and relies on me being guilty until proven innocent. Your statements imply causality based on a pre-concieved notion of my character. As for the original poster of this build, feel free to tell me to move this conversation elsewhere. I don't want to pollute your comments, but it looks like our dear friend already has. "And just so you know, the so-called "2-D VTOL system" is based off my hover-flight chassis as well." This quote implies that I directly took your flight module that you linked, and rebranded it as my own. That is, even by your understanding of it, an inaccurate representation of what happened. I am sure that you did intend that meaning, but unfortunately, that is how I (and a few others) interpreted it. Therefore, I linked my evidence. "However, I definitely remember mine being first, because I took note of how you immediately rebranded it as your "2D VTOL system." Please provide evidence. You cannot make baseless accusations of plagiarism, even if your intuition tells you otherwise. Simple timing (of a rather simple concept) is not enough. After all, gyros were introduced into SP 1.8 years ago. Because of how SP updates work, all gyro-based flight systems would be timed fairly close together, as you have observed. Therefore, mere coincidence does not strengthen your position. But, since I am requesting that you provide evidence to support your otherwise baseless claims, I might as well provide evidence of my own. While I coined the term, 2D VTOL, with Volitus, it was not the first build of mine to use a gyro-thruster flight system. 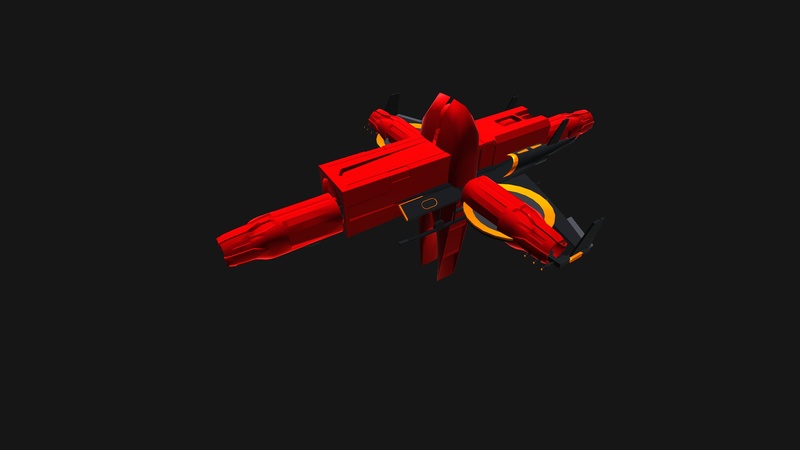 In fact, Volitus was actually a refinement of an earlier flight system that I tested on an earlier build (which is a small drone) as my first 1.6 build. Therefore, your accusation simply doesn't make sense to me. Based on the functional congruence of Volitus and the drone, it appears to be more likely that Volitus was simply the successor of Helios Security Drone's flight system, which I obviously developed myself. 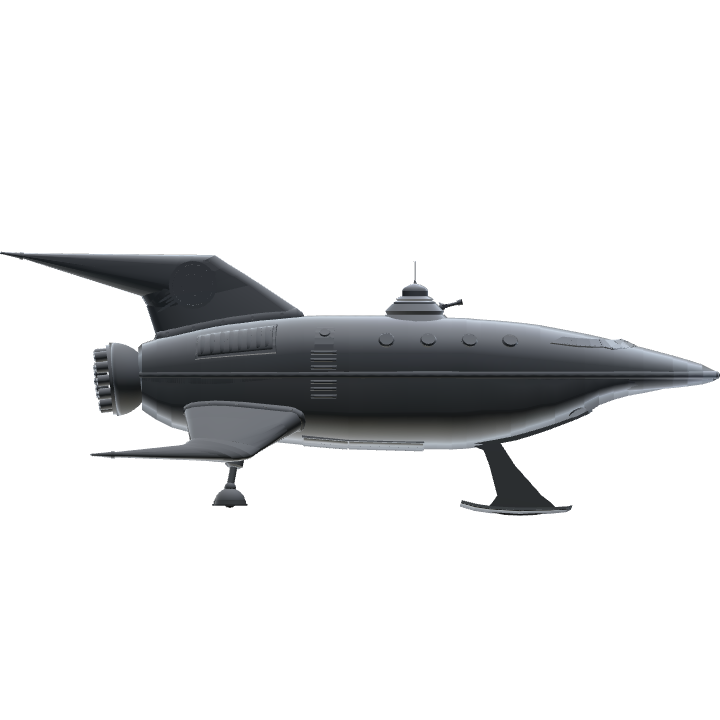 If the timing of Volitus was perfect, then can you explain the conceptually identical flight system of the earlier build, the Helios Security Drone? @spefyjerbf Misinformation, huh? Let's see... 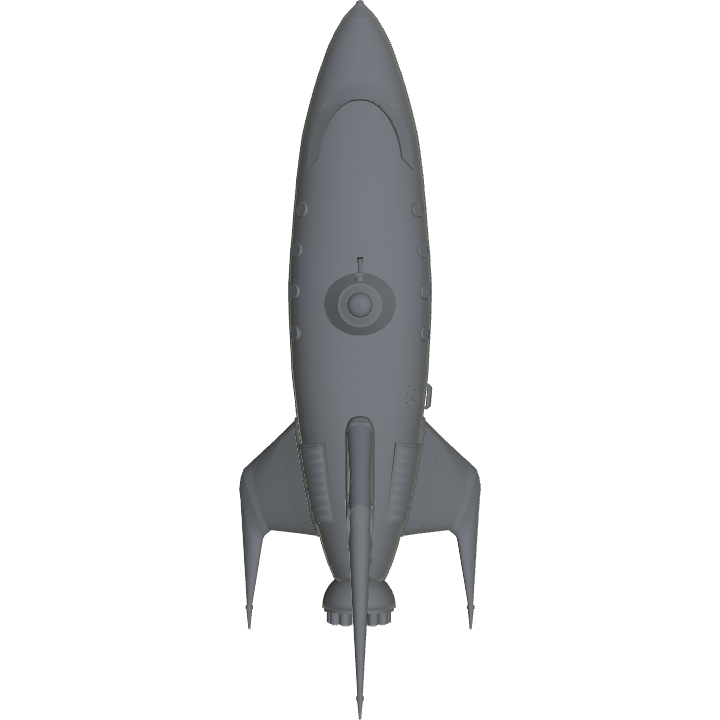 I only linked to my spaceship tutorial because that's the clearest and simplest description of my system, but I built a "cruciform VTOL" some time before that, which was definitely the first to use that system. This is the first build ever to use the cruciform arrangement of engines to build a VTOL system. Unfortunately, SP doesn't show the exact timestamp so the Cyclops and Volitus both say "1.8 years ago." However, I definitely remember mine being first, because I took note of how you immediately rebranded it as your "2D VTOL system." No worries. I wanted to clear up the misinformation that sled sent your way. Regardless, it was a pleasure to help you with this beautiful build! @spefyjerbf yeah i most definitely got some things wrong, don't really know enough about the subject. Maybe I didn't read the instructions right, but how do you control pitch? @SledDriver @Destroyerz117 Hi, I was checking out this beautiful build again, and stumbled upon your conversation. 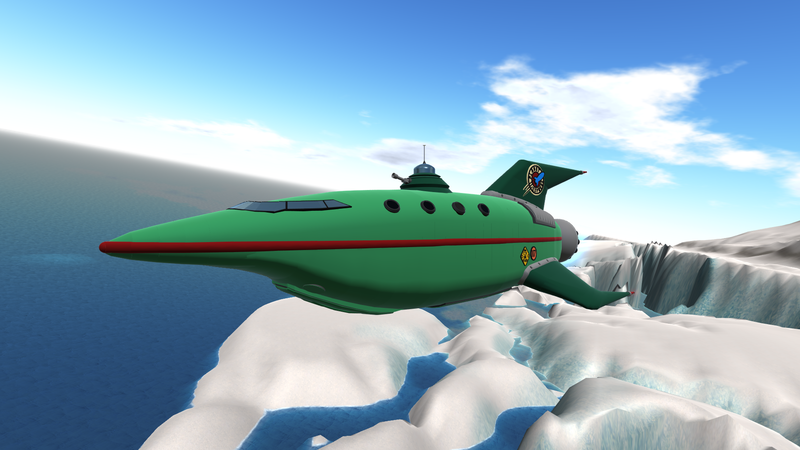 I would like to clarify that my 2D-VTOL systems are not based upon sled’s flight systems. 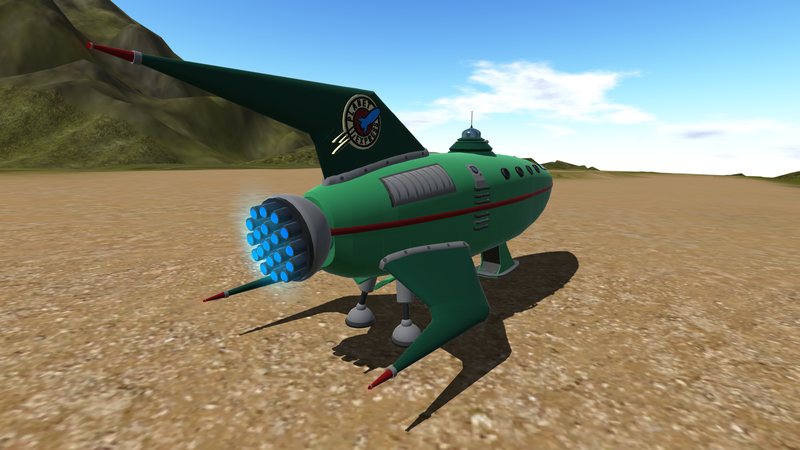 Here is, for example, my first 2-D VTOL. Feel free to compare the timestamp with sled’s post. All of my flight systems are my own work, and I credit everyone who is involved in my builds. Besides, setting inputmultipliers low, and power high, isn’t that much of a groundbreaking discovery - that trick had been common knowledge among many users. 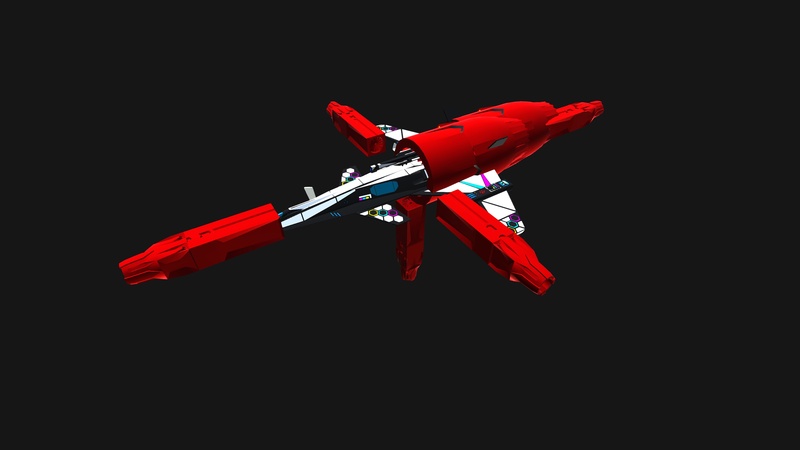 @SledDriver The 2D vtol was sort of something i added at the very end, spefyjerbf had suggested it to me on my first build log. Its still intended that you fly with the normal VTOL and the secondary system is there to assist with using the magnet hook/turret. This was one of the final things I was prepping before release and I did mention that I would work on one at some point. Yeah the "2D vtol" method of flight is probably based off how your one works, I'm just making sure you don't think I ripped your creation and put it inside of mine. 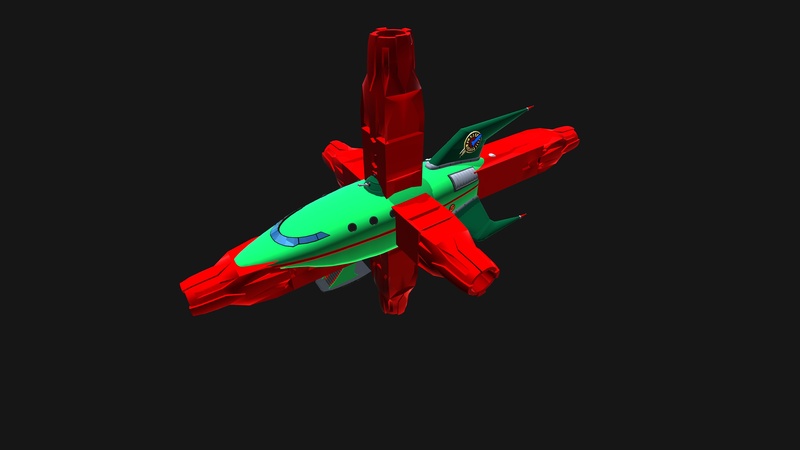 @Destroyerz117 That's all right, it just seems odd that you would make a point of mentioning the "bare-bones VTOL" system but not the one which is actually doing most of the work. And just so you know, the so-called "2-D VTOL system" is based off my hover-flight chassis as well. @SledDriver hey, this actually uses two different systems to fly that you can toggle on and off, one is the standard vtol system you linked and the other is a 2D vtol build that uses a gyro and some modded engines(I got these from spefyjerbf when they welcomed me to take apart their build to see how 2D vtol works) so everything I've said you should be able to find inside the ship, I haven't seen your post before now so any parallels would be for the sole reason that they are essentially the same concept but the one I'm using includes a gyro. Hmm... you say you used this to power this thing, which uses a single engine powering two rotating VTOL thrust ports to achieve VTOL capability. But looking at your build it's clear you've actually used the "six engines lined up along all three axes" method, along with "set the mass/drag of everything except the flight chassis to zero", and also "use jet engines with max 0.01 and powerMultiplier set to a high value"... all of which looks suspiciously like this. Just a coincidence, I suppose?